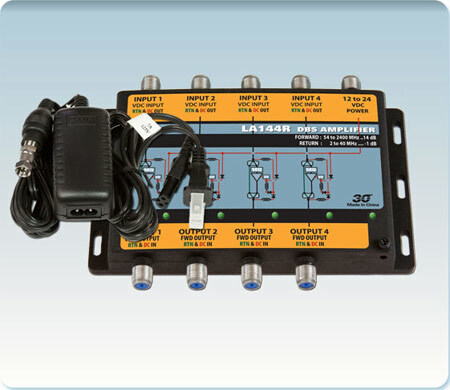 LA144R amplifiers have a passive 2 to 40 MHz return channel. They may be used to extend SWM8, SWM16 and SWM32 switch outputs. Model LA144R-T ships with a power supply. Model LA144R has no power supply and is intended to be powered from the output coax cables.